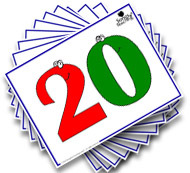 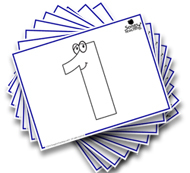 Includes Adding and Subtracting One, Compare and Contrast, Counting to 5, Counting to 10, Counting to 20, Counting to 50, Counting to 100 and beyond, Greater Than and Less Than, Fact Families, Pattern & Sorting, Place Value, Sequencing and 100th Day of School. 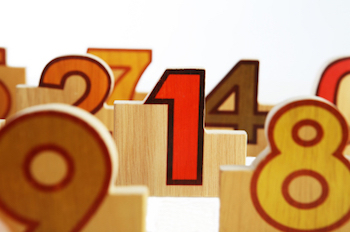 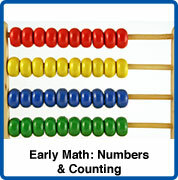 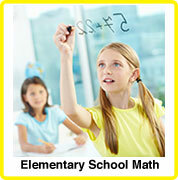 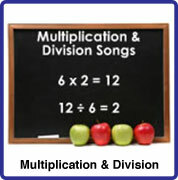 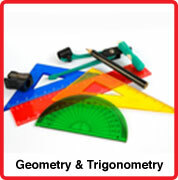 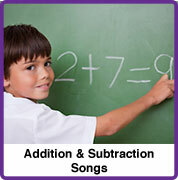 Includes addition and subtraction songs, multiplication & division songs, fractions & decimal songs, measurement & metrics system songs, patterns & sorting, money & currency, basic geometry, place value, percents averages & probablity, telling time, greater than & less than, prime numbers, order of operations. 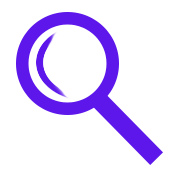 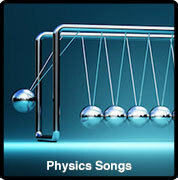 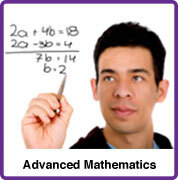 Includes introductory topics for physics.